As I predicted in my last post, Ken and I had a lot of fun for the past week and a half! Actually, we partied for a week and spent the past weekend on the sofa. 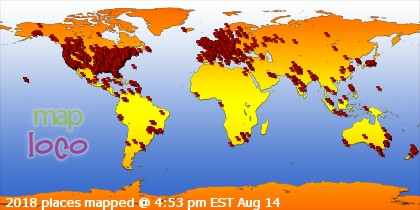 It's been really hard to get back to our normal routine! After celebrating the Superbowl in the French Quarter, we then slid right into the Mardi Gras festivities. 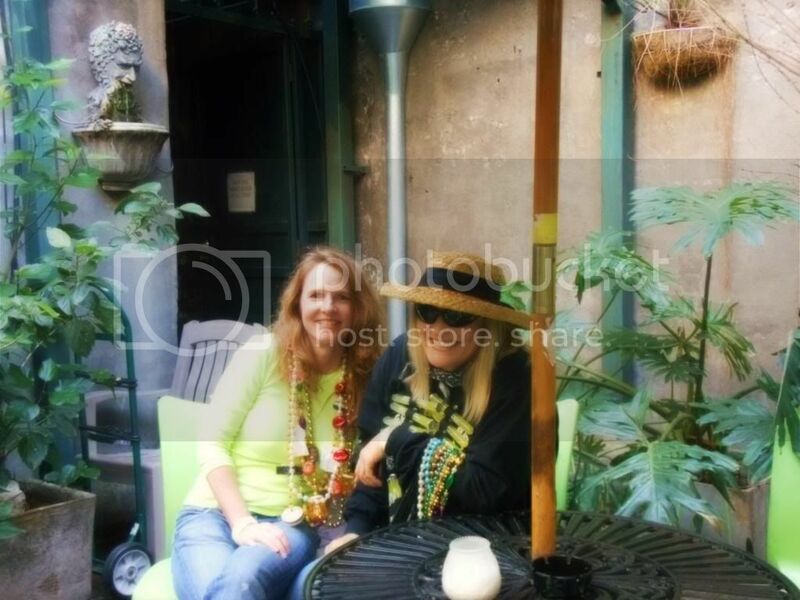 The Friday before "Fat Tuesday" we once again found ourselves in the French Quarter with our friend Judy. Like last year's Mardi Gras and the one before that, Judy hooked us up with a private party at the Royal Sonesta Hotel on Bourbon Street. 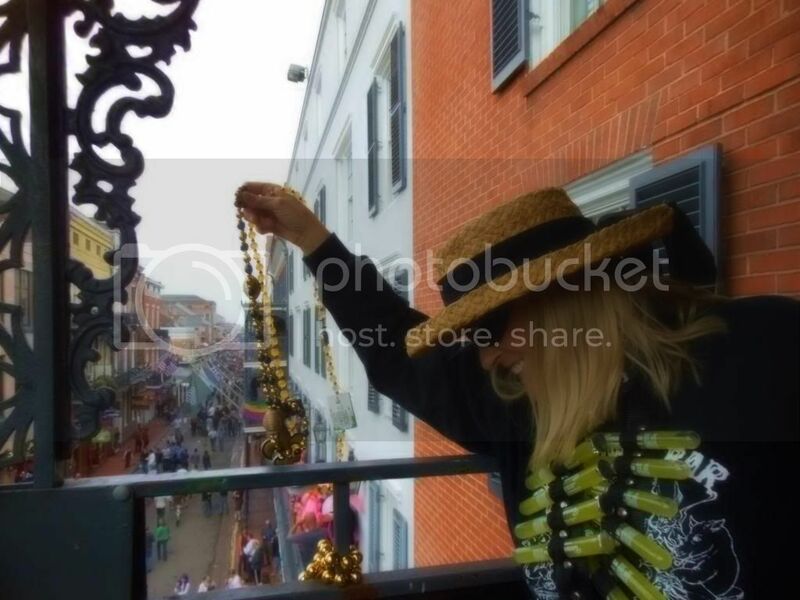 Access to a balcony on Bourbon Street with free food, alcohol and beads ... it doesn't get much better than that! We're missing the strippers you say? 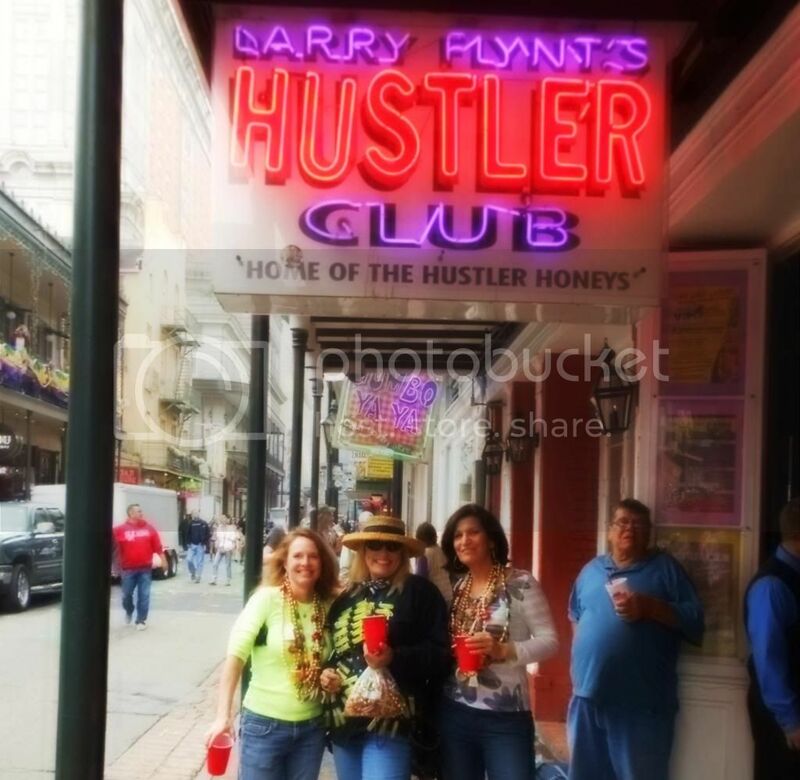 Okay, add a private party at Larry Flynt's "Hustler Club" on Bourbon Street ... we're in. Judy, you're the best! This year we had another friend with us, the Honorary Mayor Gonzo Mays of the Florida Keys! She arrived with "bullets" on her chest ... her Gonzo Margarita shooters. They were really good and came in handy while walking the streets of the French Quarter. 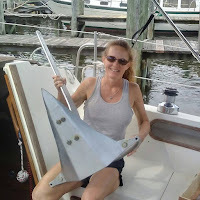 If you're not familiar with the "Mayor", check out her Facebook page. She's always into something in the Florida Keys! I think the "Mayor" had a good time ... perhaps we've earned a few "political favors" that will be good to have when we sail to the Florida Keys! There's Ken! 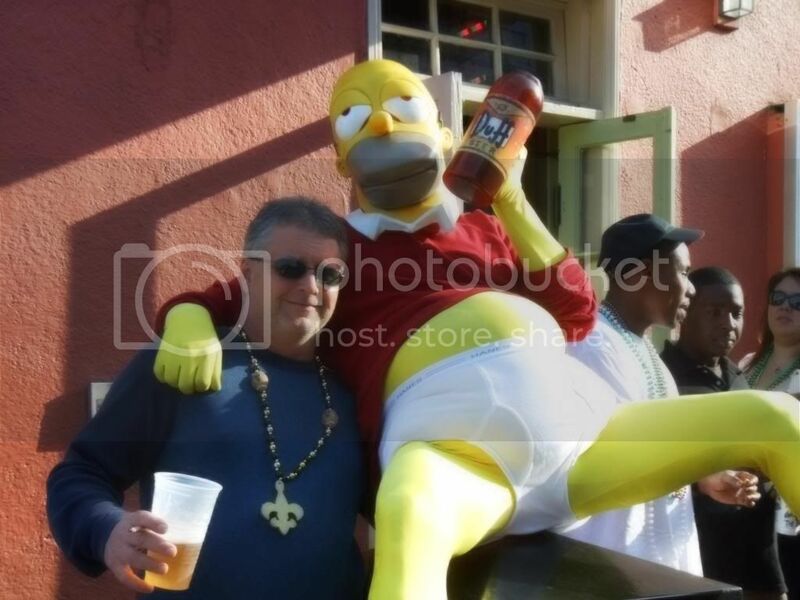 Homer is a bad influence! Chillin' out back on the patio of one of our favorite places for live music ... "The Funky Pirate"! 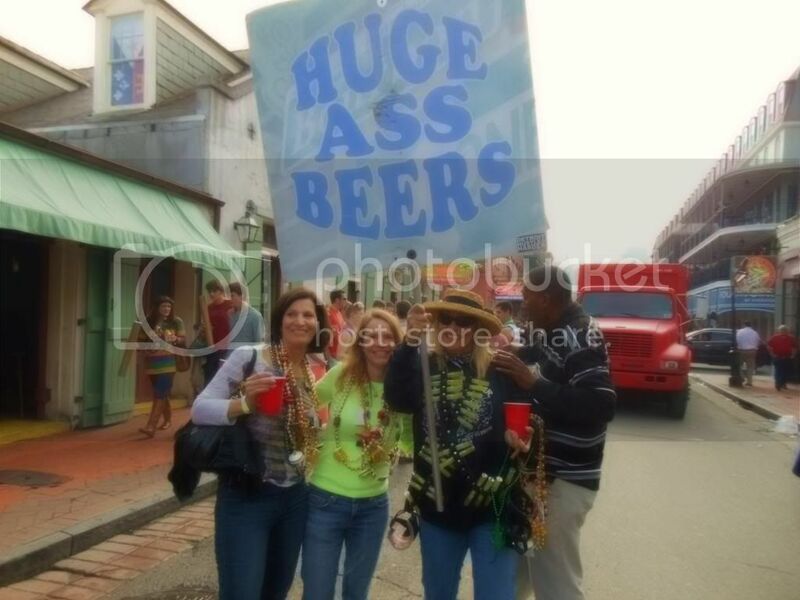 This was the last day of our Mardi Gras for 2013, cause this year we skipped "Fat Tuesday" and headed out of town for a few days. You'll have to wait till the next post to find out where we went ... or just check out our Facebook page for a couple of pictures that give it away. There was a real good reason for going out of town, but I haven't revealed that anywhere just yet ... I'm keeping that under wraps till the next post. How fun and how did you get all those beads? Bwahahahahahahaha. 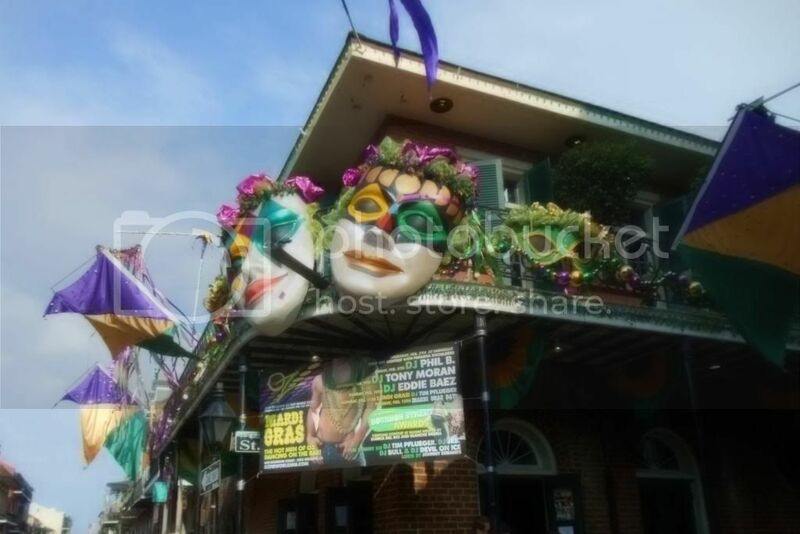 Loved reading about your adventuresome time for Super Bowl and Mardi Gras festivities... Sounds like life is treatin you right! Glad y'all had such great opportunities and a great time.